England's cricketers headed home for Christmas celebrating a remarkable and thrilling victory over India in the final Twenty20 international in Mumbai. Needing three runs off the final ball, captain Eoin Morgan hammered a spectacular six to secure victory in typically flamboyant style. After their Test series defeat, India had been keen to assert their authority in the shortest form of cricket. Instead Morgan led his inexperienced team to an impressive victory. The total of 181 amounted to England's highest ever run chase win. 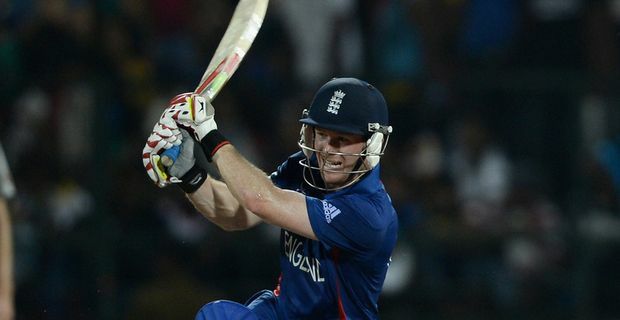 Morgan, perhaps disappointed to find himself out of the Test selection, hit a brilliant 49 not out from just 26 balls. Jos Buttler was equally impressive, his partnership with the captain steering England to the win. Morgan gave credit to England's improved fielding for restricting India's total and giving the batsman a chance of making the chase, although the bowling was a little erratic and India's 177 still looked daunting. Michael Lumb and Alex Hales laid a decent foundation, but Morgan's big-hitting was the magic ingredient. Morgan was a stand-in for Stuart Broad as captain and the win was a memorable one. He couldn't recall a more dramatic way to end an international. “I don't think so. It's certainly up there,” he said. "There was one against Pakistan a couple of years ago that sailed into the stands as well. But the last ball of the game, and an atmosphere like that, I don't think so." England lost their world Twenty20 title in 2012, but it is apparent that they are developing an exciting crop of talented young players capable of matching even the most seasoned IPL stars of the India team.